Community paramedics from Toronto Paramedic Services (TPS), a mental health and addictions outreach worker from Hong Fook and a geriatric mental health case manager from Cota provide clinics that rotate across the five buildings each week and follow-up support to individuals requiring it. “With the expertise that each partner agency brings to the program, multiple needs of a client can be attended to in a timely manner – improving their overall health condition,” (Doris, Lead Clinical Services and Intake, Hong Fook). 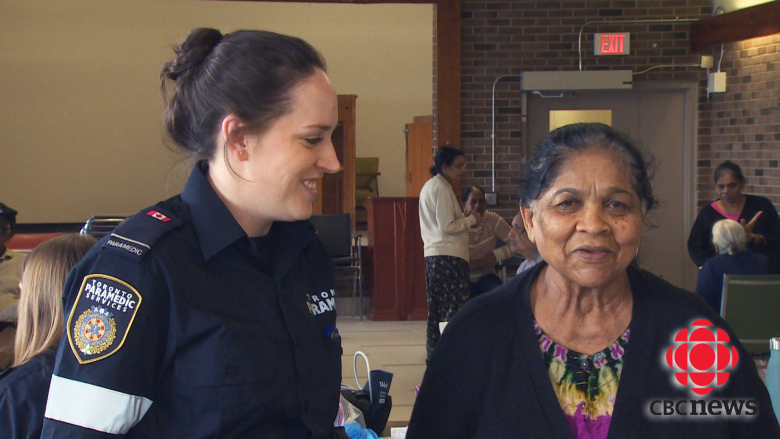 Each clinic is well attended and Michael Roffey (former Superintendent, Community Paramedic Unit, TPS) says that tenants are increasingly receptive to this innovative approach to delivering primary care, which fosters social connections and ease of access. Rajdai (tenant) came to the clinic because her friend from the building referred her. “Staff are nice, the clinic is accessible because it’s right in the comfort of your home. There is a sense of community, and it is very peaceful,” says Rajdai. “Cota’s approach to geriatric mental health community services makes this program that much stronger,” says Jessie Lee (TPS). A group of community partners have joined forces to address service needs at 4175 Lawrence Avenue East, one of the Scarborough TCHC buildings. The project aims to work with vulnerable tenants with complex needs (e.g., physical health, mental health, and addictions) and reduce the number of EMS and TCHC Community Safety Unit calls to the building. The program includes two mental health and addictions case managers, one each from Fred Victor and Cota. The case managers provide short-term case management and service navigation/ referral support onsite on Friday afternoons. Staff from Scarborough Centre for Health Communities (SCHC) work with food banks and volunteers to provide a hot meal at the pilot site. 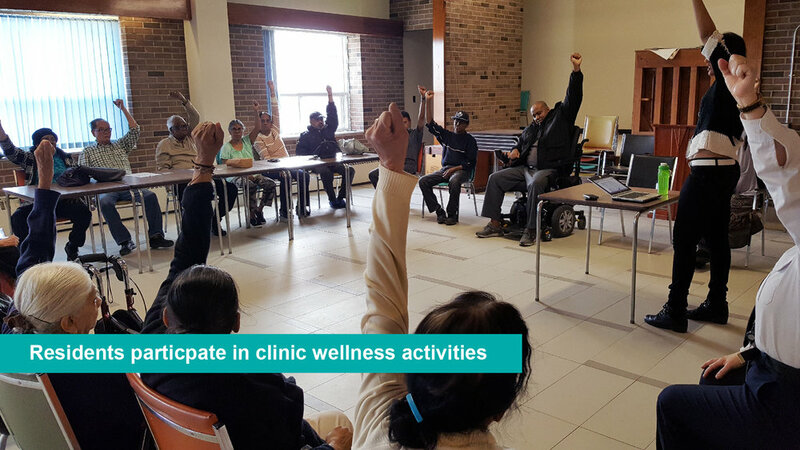 Other actively contributing partners include the Canadian Mental Health Association (CMHA)-Toronto Branch and East Scarborough Storefront.